It’s here! 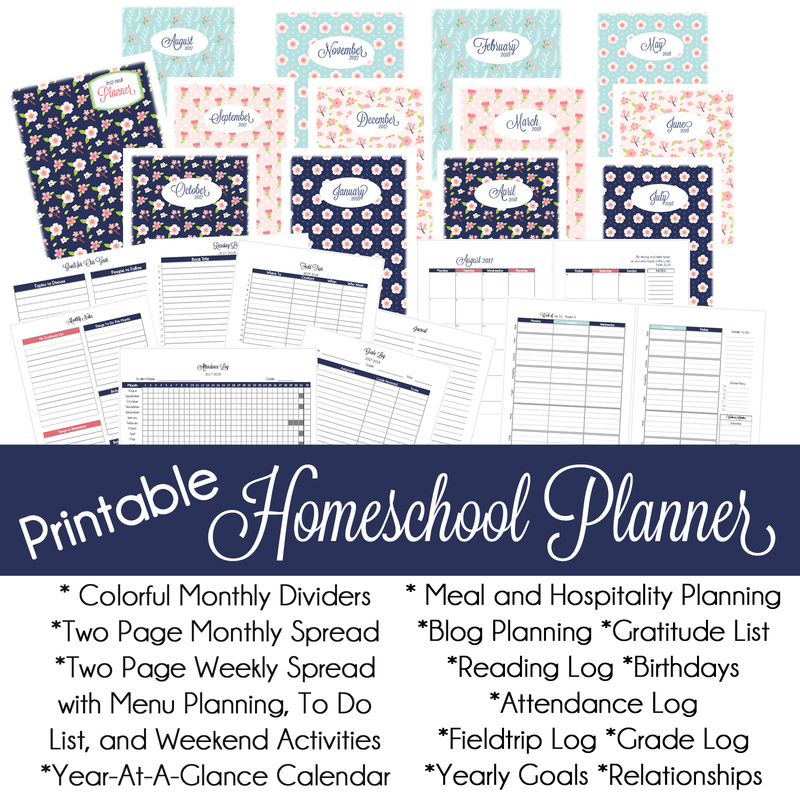 As promised…I finished the 2017-2018 Homeschool Planner, which is now for sale on Etsy! Just like last year’s planner, this year comes in both blank subject and with subjects printed, but everything else is just as expected. Psst….there’s a special promo code just for you at the bottom of this post. 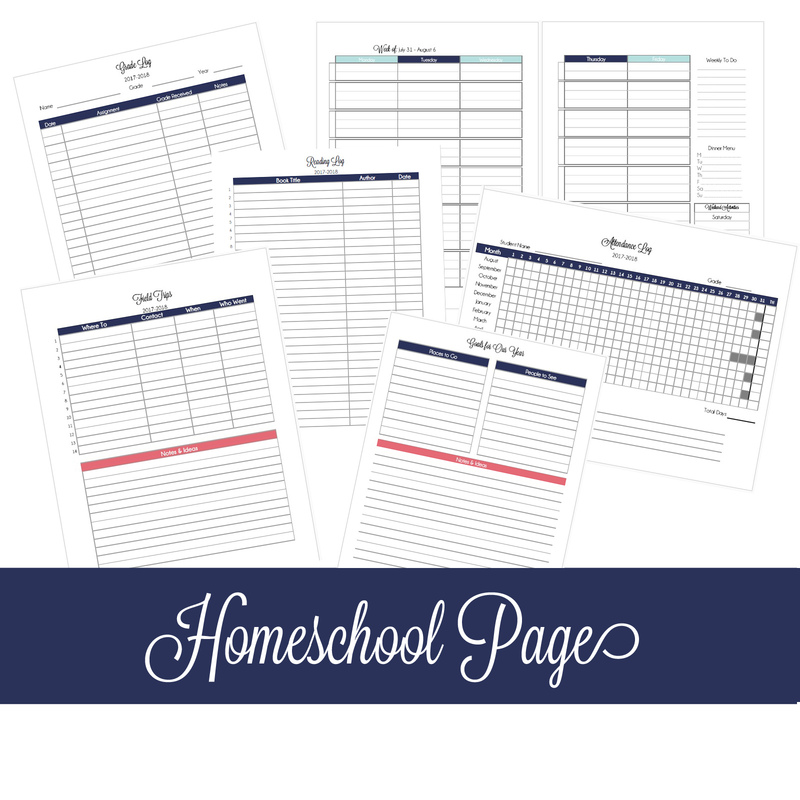 Only this year I’ve created several additional pages to help you homeschooling mamas keep track of things that you probably have to report to your school districts. 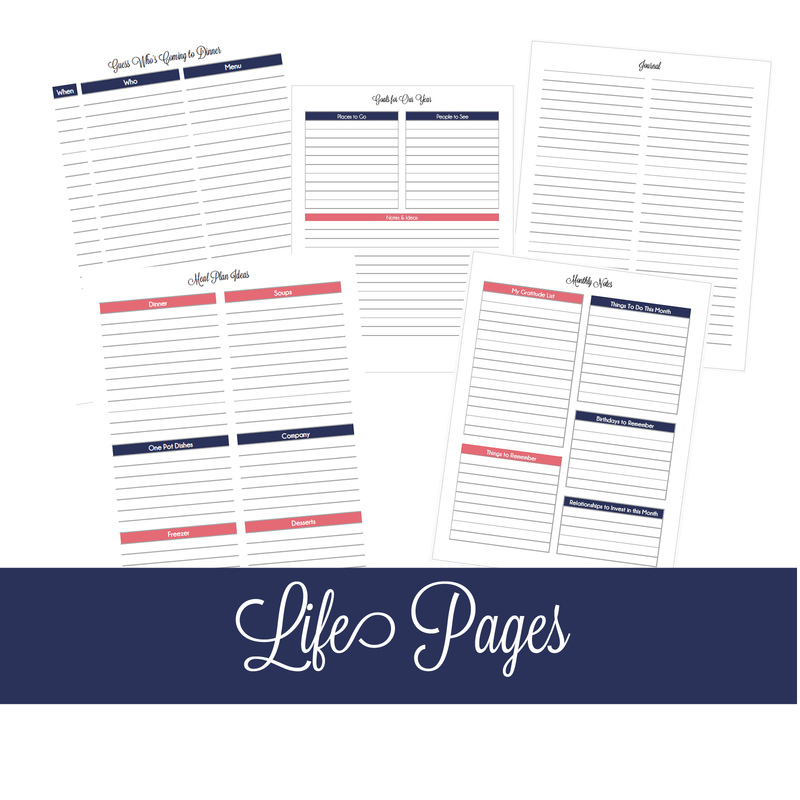 Things like Assignments, Field Trips, Grades, Attendance, and a bunch of blank pages for you to create whatever you need. 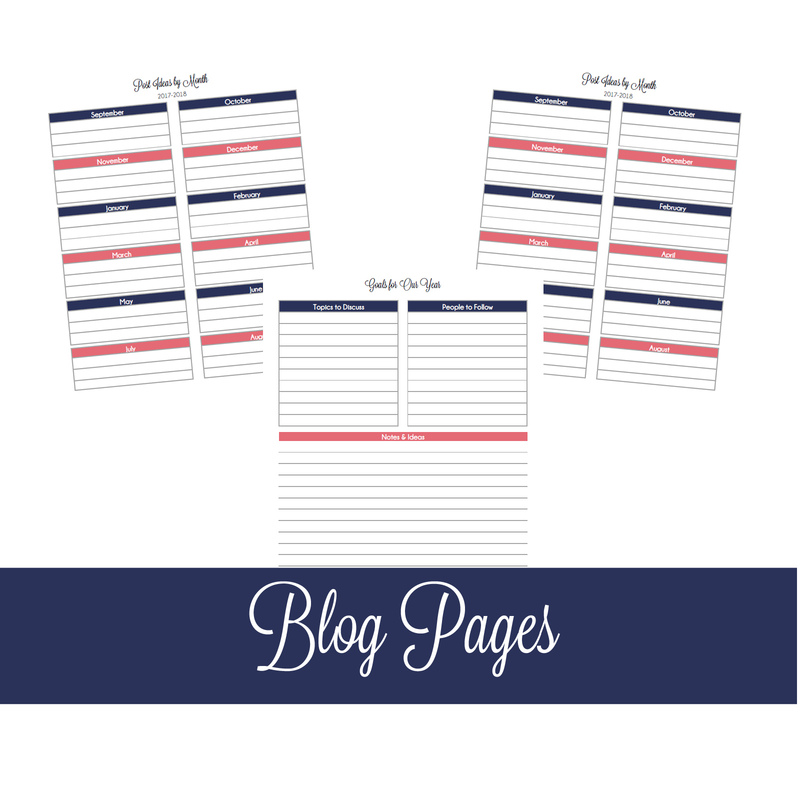 Just like last year there are pages for those of you who are bloggers, to help you keep tabs on what you have written about, what things you still want to explore, and when you want to share them; as well as giveaways and reviews. 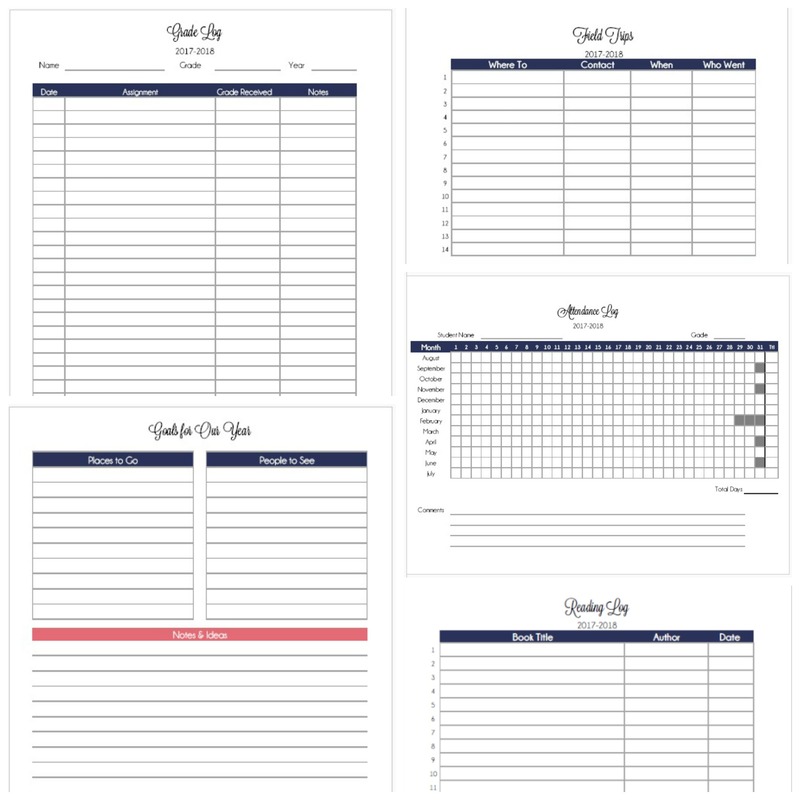 The other part of the planner that’s my favorite is the Life Pages; which include a place to list out all of your regular and favorite meal ideas, who you’ve invited to dinner, your goals for the year, and a monthly notes section with places to keep track of things you’re grateful, birthdays, to-dos, and relationships you want to invest in (this might just be my favorite part). 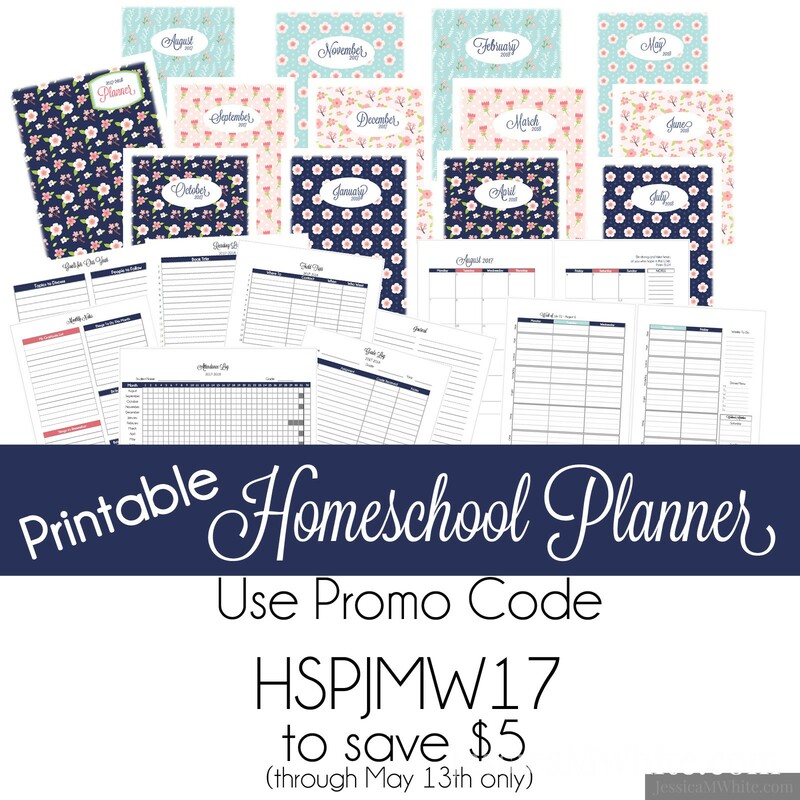 I am offering a $5.00 off coupon with code HSPJMW17 for the planner, so you can get it for $10, rather than the regular price of $15. 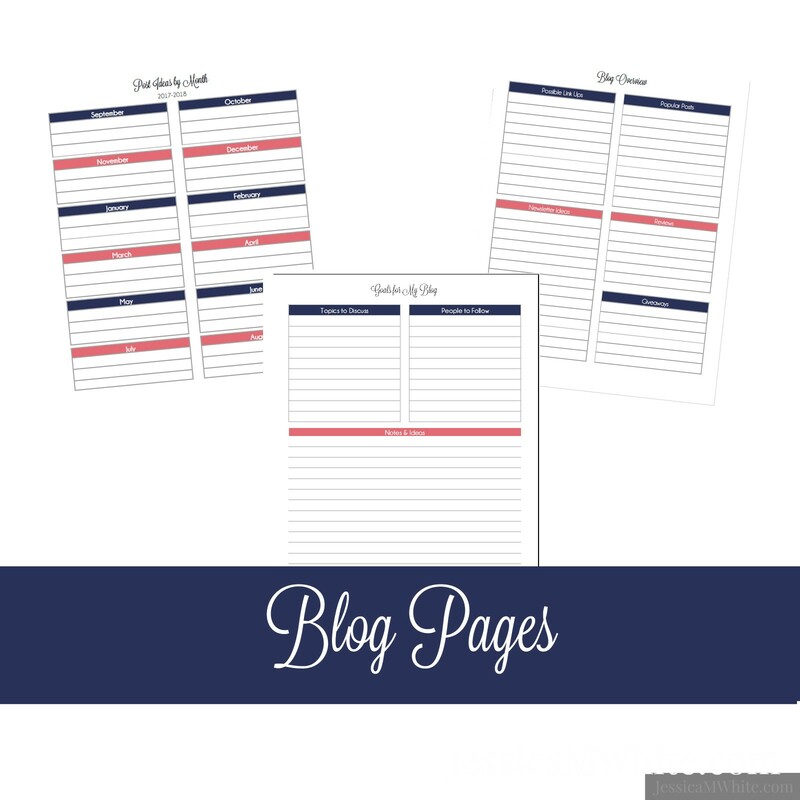 Where can I order the planner? You can click at the MY SHOP link above or visit https://www.etsy.com/shop/WhiteHouseEmporium Remember there are TWO different versions, the blank subject and a filled in subject…make sure you add the right one to the cart. Protected: A new year, a new…?